Bitter’s Kiss is the new side project of artist Chloe Grace Baker, and this album, The Divorce Party is her latest release under the name. Part soundtrack for the film of the same name, part music inspired by it, the record has more of a consciously stripped back, indie feel than the music she produces under Grace Baker. Also included are some songs from her previous self-titled release, but there’s enough new material here, including a highly original interpretation of The Cure’s “Just Like Heaven”, to make it a worthwhile addition for fans of the artist and unacquainted newcomers alike. Of the new songs recorded, the electronic “Like You Do” (with Blue Stone) is a great leap forward in Baker’s sound and her confidence as an artist, and the grand, theatrical “Changing Tides” (with Swedish Attack) shows off new, profound depths in her ability as a songwriter. 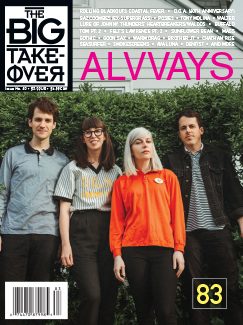 The great thing too is that the older songs like “No One Will” are given new, larger-than-life production values, much in the same way that the Psychedelic Furs or the Jesus and Mary Chain recorded songs for John Hughes films. 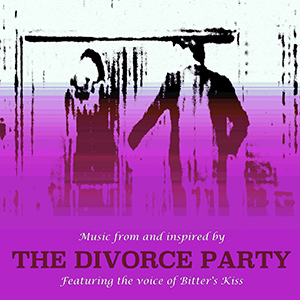 The Divorce Party is a bit of a hodge-podge of an album, but it also includes some of Bitter’s Kiss’ finest work yet.